Ask your ISP (Internet Service Provider) if they offer their customers a free download of anti virus and anti spyware programs.Login to the ISP website and look under the ‘help’ section. You can also call technical support department. The staff will tell you want your options are. If the company does supply you with antivirus software, the technical support should walk through the installation and download steps. No software is downloaded automatically. You have to initiate the download and enter the license key and then completewith the installation. You also have to update and tweak the software to ensure that it continues to function at its fullest capacity. computer. Shop around for an antivirus software program. Go to any computer or electronics store to inquire and also compare Costs. There are great options and prices if you shop online. Sometimes, when you buy something a store may give you anti virus protection at no charge for your patronage. You will still have to download this software and install it onto your computer system. Decide what kind of protection your computer system will need. If you don’t need high speed internet and you have no other need for your system outside of games, you may not need a full security suite. If you run a business, you’ll need a full security suite that protects your system with spam filter, anti viral, firewall ad anti spyware capability. If any program slows your computer system and decreases its normal performance you can uninstall that program and install a new one. There are some really good free antivirus softwares offered online. 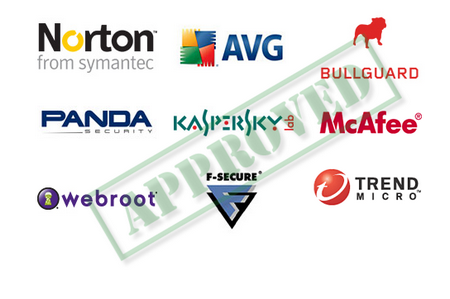 One of the most popular free antivirus software is AVG. You can Google it and find a link for download. You can test different antivirus softwares out on your computer system free of charge. All you have to do download a trial version of an anti viral program. These trials may last from 30 to 90 days. If you want to convert your trial version to the full version during or after the trial you can. Or if you don’t prefer the performance you can change the antivirus program by uninstalling it and replacing it with a different program. Anyone can always change the antivirus program that came installed on any laptop or desk top. Update the anti virus program annually. Do not run your system with no anti virus software. Find free options online and test software on your system. Do not leave system with no protections. This doesn’t make it difficult for hackers to do damage. Go to add/remove programs and “remove” any anti virus software before installing a new program.